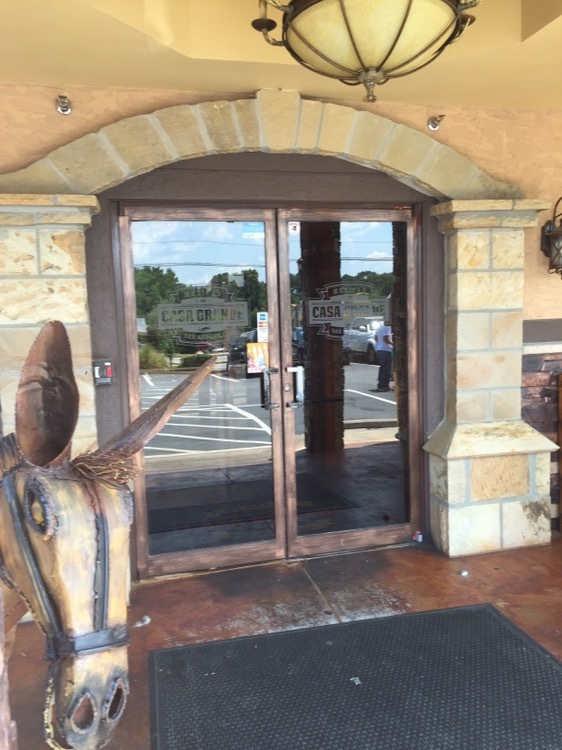 For the last several months, I had noticed Casa Grande Bar and Grill in front of the theatre at the intersection of East-West Connector and Powder Springs Road. 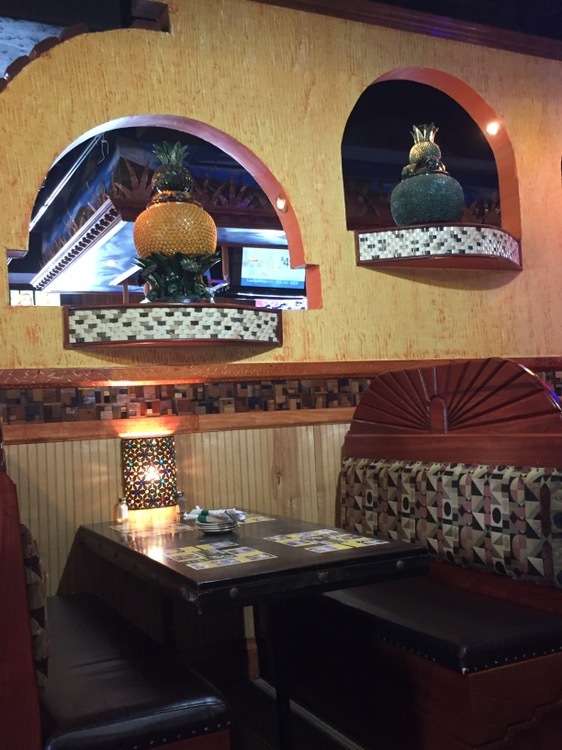 It always seemed to be busy, but I figured it was just another Mexican restaurant. On this Sunday afternoon, we decided to give it a try. 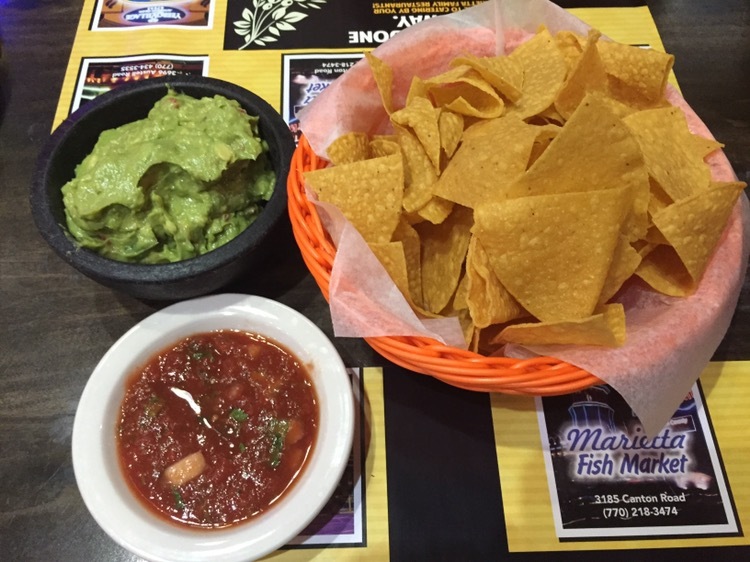 They have two versions of guacamole – one that is made fresh, table-side and a bowl prepared in the kitchen. We opted for the latter and munched on that while we decided what we wanted. 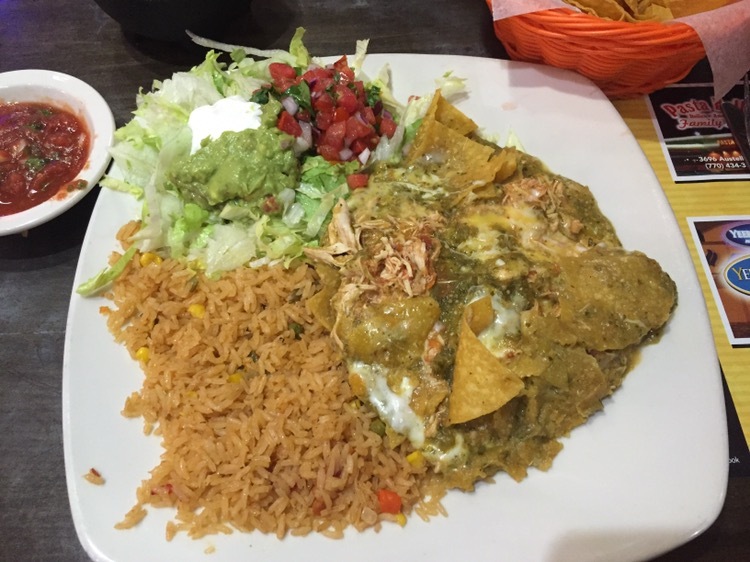 We actually both decided on chilaquiles Mexicano, with verde sauce. Being part of the Pasta Bella family, the one thing you can guess is that there will be a plateful of food. Had we thought about that, we could have shared a plate. As expected, the plate was massive. What I didn’t expect was that the verde sauce would be as good as it was. Fiery and well-spiced at the same time, it topped the chicken and rice quite well. A large volume of tasty food, at a fair (but not cheap) price. I see why they are always busy.